Today’s hospitals face relentless pressure to improve quality, especially in the operating room. This challenge requires insights into root causes of problems and unnecessary clinical variations, which are notoriously difficult to diagnose. As a counter measure, hospitals are turning to analytics solutions that are embedded directly within perioperative workflows. Such technology converges IoT tools with healthcare analytics to produce actionable data — that is, data which is near real time and relevant to the patient, and can be acted on during the episode of care. This includes during critical care transitions, such as between prep and surgery, and from surgery to recovery. Moreover, actionable data’s value can be extended to identify effective training protocols and to standardize best practices. Three developing scenarios, in particular, are calling for an intensive effort to leverage actionable data in the operating room — and they are only increasing in urgency. The Medicare Access and CHIP Reauthorization Act (MACRA) replaces Medicare’s sustainable growth rate formula for reimbursement with an emphasis on quality and improvements. One of the two main programs in this model is the Merit-based Incentive Payment System (MIPS). While MIPS payment bonuses — or penalties — will begin in 2019, these will be based on data from 2017. Of most importance to hospital clinicians is the 60 percent weight assigned to quality and 15 percent weight assigned to clinical practice improvements, all the way through 2021. After that timeframe, quality will account for 30 percent of MIPS scoring — still a significant percentage. As such, the operating room will benefit from actionable data to improve adherence to best practices during procedures, and also for reporting key quality measures and demonstrating improvement initiatives. The financial stakes will only get higher with each passing year as bonuses (or penalties) increase. With the first of the Baby Boomers now in their seventies, US operating rooms are performing surgery on ever frailer geriatric patient pools. Indeed, it is fair to say that hospital care should be revamped to accommodate the imminent influx of aging, high-risk patients. One key point to keep in mind: more can wrong when operating on today’s higher risk geriatric pool. Thus, hospitals must implement tools to produce actionable data aggregated from perioperative workflows, so that surgeons can address unnecessary variation during the episode of care. Consider two common categories of procedures performed on the elderly, and that are counted within MIPS’ care episodes: cardiac surgery and joint replacement surgery. While the latter now can be performed with minimum invasiveness, elderly patients are still at higher risk of infections and other complications. Meanwhile, it is expected that geriatric patients will make up an increasing share of patients for cardiac surgeries. For this higher risk pool of patients, it is even more important to have early awareness of potential problems, and to adhere to best practices that reduce unacceptably high mortality rates and costs. Not only are patients increasing in age, they are increasing in actual numbers. Some of this can be attributed to longer life expectancies, while the sheer size of the Baby Boomers — our second largest living generation after Millennials — is another factor. Meanwhile, our nation is persistently experiencing a severe shortage of surgeons, a challenge that is not expected to be resolved any time soon. In plain terms, surgeons are handling more cases which presents more chances for errors. Having actionable data to identify potential variation in time to make a meaningful intervention can greatly mitigate the risk of error. More broadly, regular use of actionable data instills a culture of continuous learning for residents and other “apprentice” clinicians. An advanced analytics solution should enable surgeons to review episodes, add notation and collect feedback. Now surgeons have a tremendous aid for understanding — and teaching others — drivers of unnecessary clinical variation in the operating room. 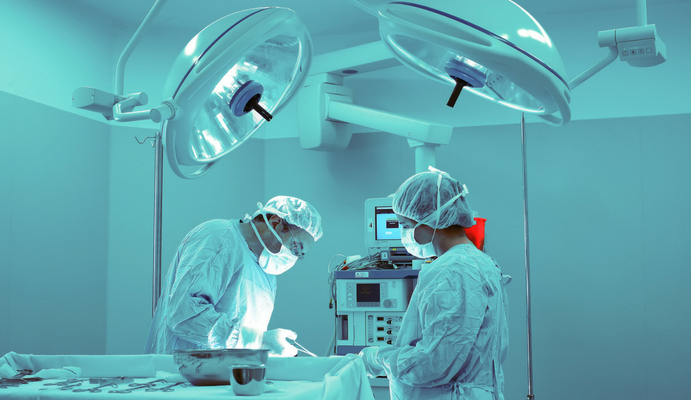 The need and the benefits of receiving actionable data in the operating room are clear. Less so may be how to actually access this data. In brief, acquiring actionable data depends on aggregating both structured and unstructured perioperative data, plus smart integration of key systems and devices (including the EHR for MIPS reporting). Physician leadership and championship also are essential. After all, it is physicians who play the most prominent and certainly most direct role in improving quality. Actionable data can significantly advance their efforts. Dennis Kogan’s column “How Actionable Data Can Assist In The Operating Room” was published on December 14, 2017 in Health IT Outcomes. Dennis Kogan is the CEO of caresyntax.